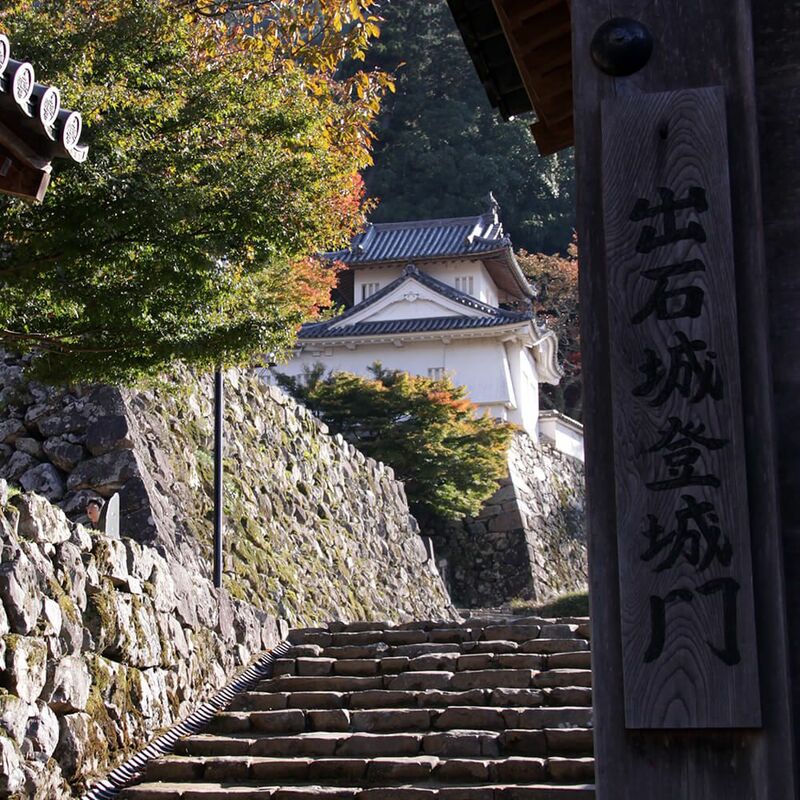 Izushi is a castle town that flourished during the Edo era, about 200-300 years ago. There are several fine displays of traditional architecture found throughout the town, which is why Izushi is designated as a national preservation district of important buildings. 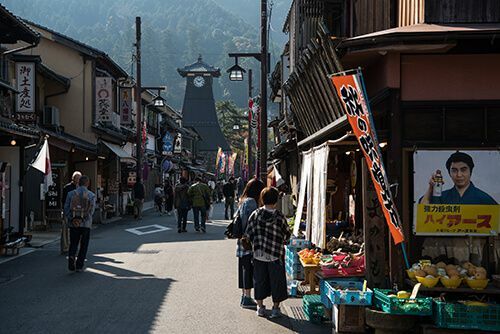 The town is also famous for its own original style of soba, Japanese buckwheat noodles. 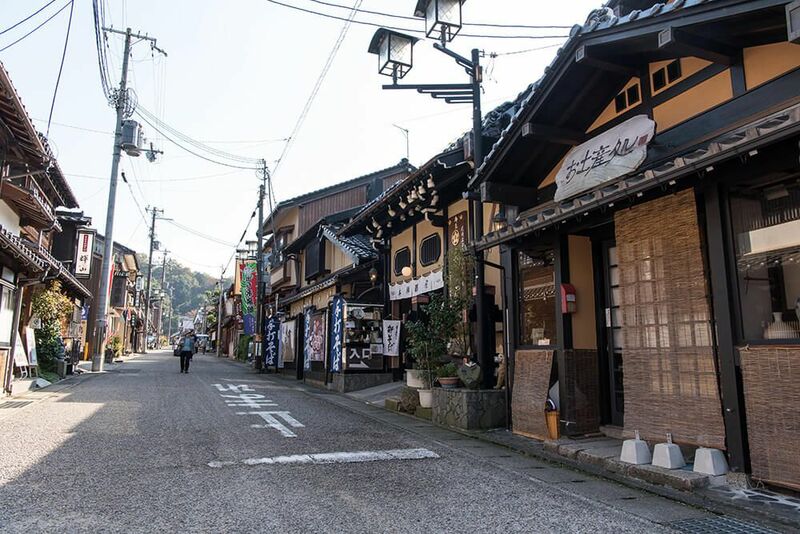 Approximately 50 soba shops line the town’s streets. 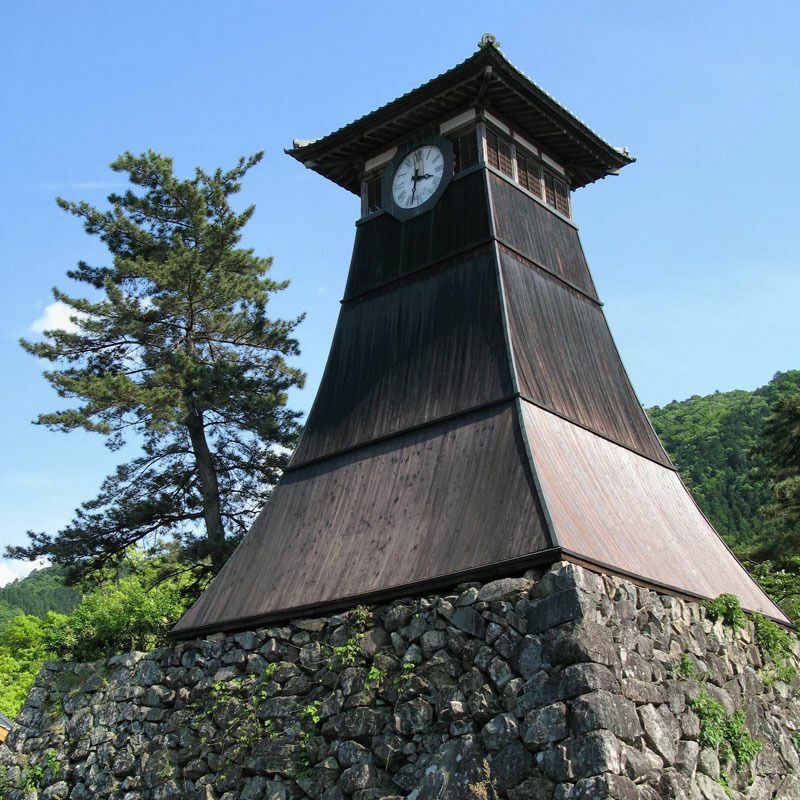 To learn more about the old castle town of Izushi, click on the link below. The clock tower was built in 1871, and still ticks away today as the town's symbol. The ruins of Izushi castle, which were built in 1604. The wooden bridge, which samurai once used to enter the castle has been reproduced. Placed at the foot of a mountain, this is the perfect place to wander around and get a feel for the deep history of Izushi castle town. 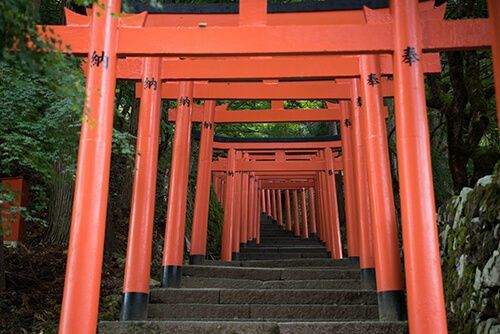 Next to the castle ruins, you will find a stone staircase lined with beautiful red torii gates all the way up to the shrine at the top. 250-year-old sake cellars made of red clay walls. 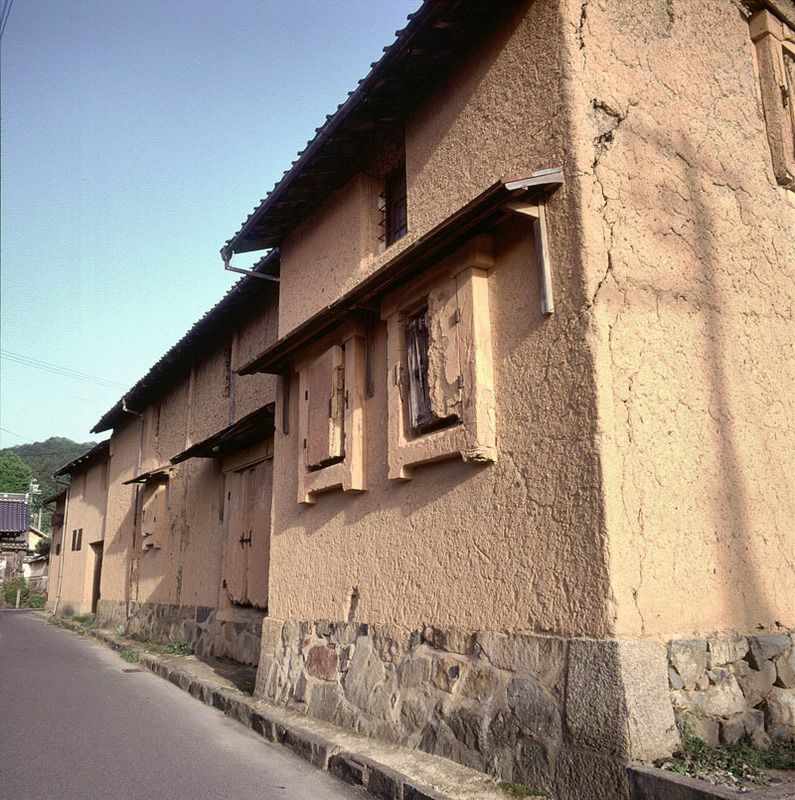 The cellars are still used today to store and sell Izushi's local sake called Sasa Zuru. It is also possible to indulge in some sake tasting here! Showa era (retro) style buildings line the streets leading to the old castle grounds. You can see the old clock tower, Shinkoro, in the background.